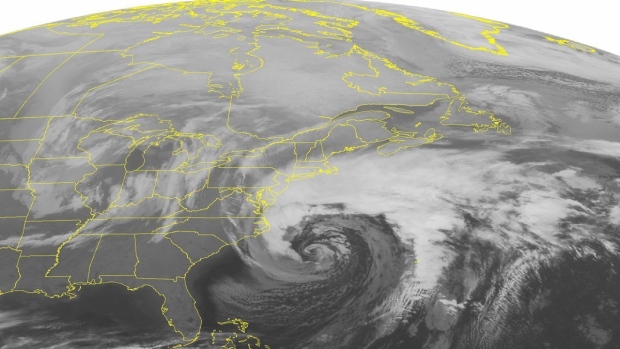 HALIFAX - Schools are announcing closures and airlines are asking passengers to reschedule their flights as Environment Canada warns a major storm is on its way to Atlantic Canada today. The national weather forecaster says snow will begin in Nova Scotia, Prince Edward Island and southern New Brunswick in the afternoon, while Newfoundland will start seeing snow through evening. Nova Scotia could be the hardest hit with up to 35 centimetres of snow expected. Environment Canada issued a blizzard warning for the province's mainland. Bay Ferries announced it is cancelling crossings between New Brunswick and Nova Scotia due to the weather. A second winter system is expected to impact Newfoundland on Tuesday night and into Wednesday with additional snowfall and strong winds.